Test.loadData is a method that enables us to create test data by using Static Resource. This was released quite sometimes but I haven't use it intensively. I experienced using it to load data in bulk because I wanted to test governor limit. Recently we plan to use this on our project instead of using test data factory.Pushing test data using csv files are much easier compare to code insertion and define relationship. 1. Can I update the record that I have loaded? 2. Can I create child to the record that I have loaded? 3. Can I delete the record that I have loaded? 4. Will insert trigger cover using Test.loadData? Yes, but validation rules is still applied. 5. Can I define relationship for example between Account, Opportunity and Contact? When defining relationship, make sure that you run loadData method in proper order : master first then follow by child.In the example below, load Account first then Opportunity then Contact. In Final Approvals section ; in Approval Process we have field update to update Status field. 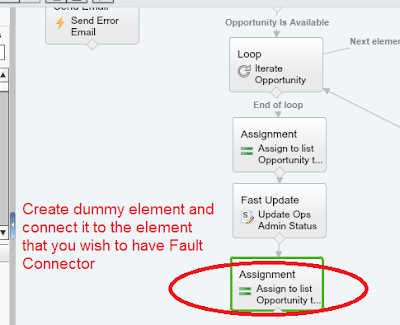 In Process Builder , we have some action that need to be done when Status field is updated in Approval Process.However this process builder is not fired. 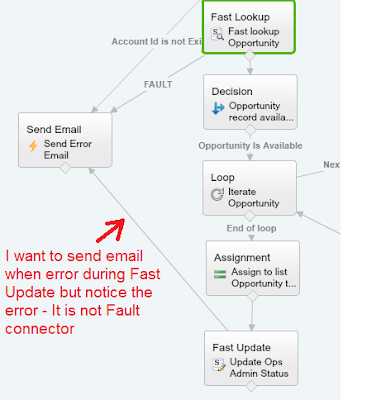 To handle this, in Field Update in Approval Process , check Re-evaluated Workflow Rules after Field Change as picture below. What happen if field updated from Approval Process. This is explained in article here . If Re-evaluate Workflow Rules After Field Change is enabled for a field update action, Salesforce re-evaluates all workflow rules on the object if the field update results in a change to the value of the field. If the field update changes the field’s value, all workflow rules on the associated object are re-evaluated. Any workflow rules whose criteria are met as a result of the field update will be triggered. If any of the triggered workflow rules result in another field update that’s also enabled for workflow rule re-evaluation, a domino effect occurs, and more workflow rules can be re-evaluated as a result of the newly-triggered field update. This cascade of workflow rule re-evaluation and triggering can happen up to five times after the initial field update that started it. Make sure that your workflow rules aren’t set up to create recursive loops. For example, if a field update for Rule1 triggers Rule2, and a field update for Rule2 triggers Rule1, the recursive triggers may cause your organization to exceed its limit for workflow time triggers per hour. Cross-object workflow rules aren’t candidates for re-evaluation. Cross-object field updates that cause a field value to change don’t trigger workflow rule re-evaluation on the associated object. An approval process can specify a field update action that reevaluates workflow rules for the updated object. If, however, the re-evaluated workflow rules include a cross-object field update, those cross-object field updates are ignored. The reevaluated workflow rule’s immediate actions cause the record to no longer meet the workflow rule criteria. 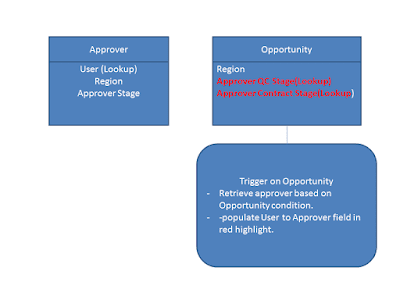 An Apex after trigger that is executed as a result of a workflow or approvals action causes the record to no longer meet the workflow rule criteria. Discussion about this can be found here . 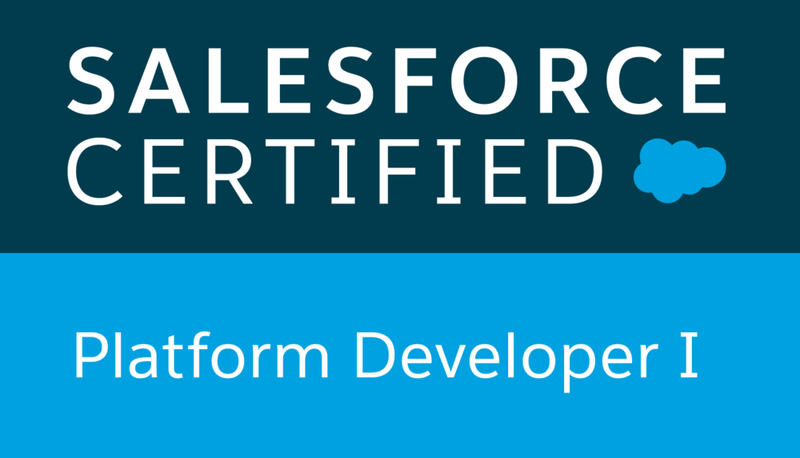 What happen on Content Document Link if we upload Salesforce Files from record? This entry specifically to know more about ContentDocumentLink which are not represented in diagram below.I happen to know more about this object after I experimenting on content's trigger(in future post). To understand how the content relationship works please refer to diagram below . 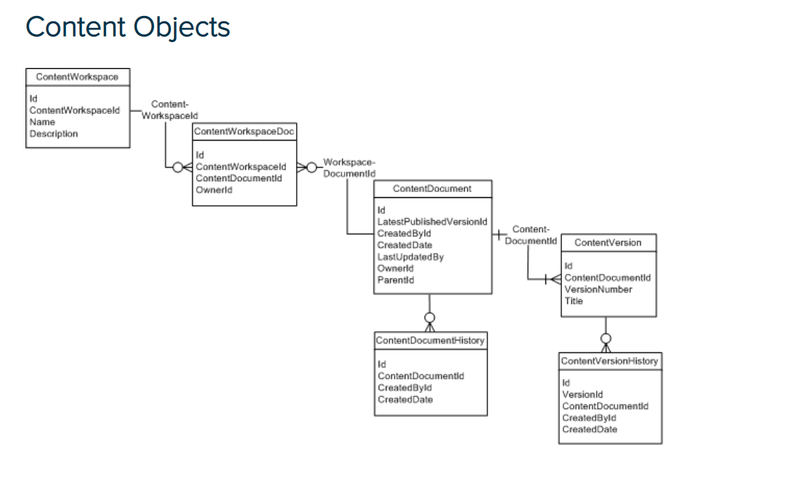 content objects diagram version 44. The highlight of this article is to identify ContentDocumentLink object that not appear in the diagram above. ContentDocumentLink is Represents the link between a Salesforce CRM Content document or Salesforce file and where it's shared. Experiment : Upload a file from Opportunity record.Once upload, click on the file and copy the id in URL. The id is represent contentdocumentid.Open Developer Console --> Execute Anonymous. Paste this code with contentdocumentid that you got. The result is like below, notice that we have two contentdocumentlink records. Hope this will give you clear picture on what ContentDocumentLink object is doing.I am doing testing and find something interesting on content object which I will share with you later. 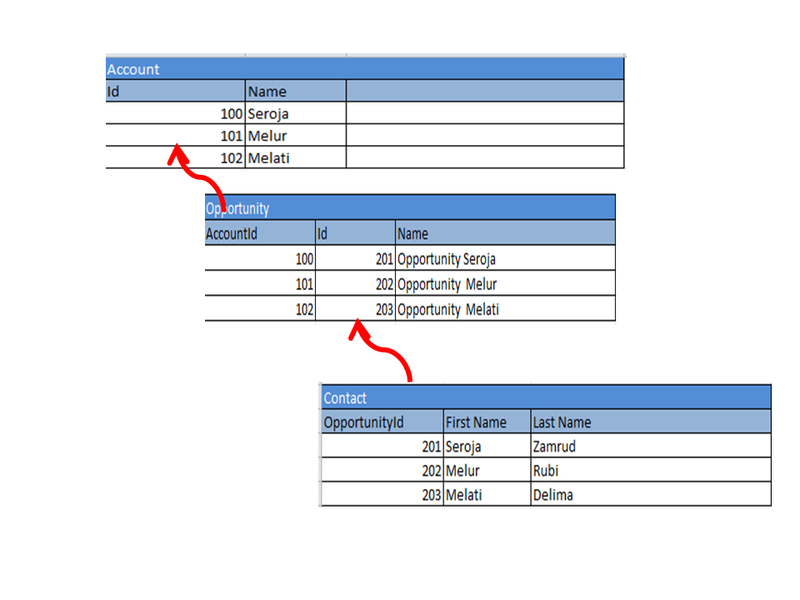 Requirement to have dynamic query that enable to retrieve the child of the parent objects.For example query the Opportunities field while querying Account instead of run separate query for each object. For this post, I hard code object name and field name which actually can be done dynamically. In order to retrieve the child use getSObjects() . The code above is adapted from this forum. Every waiting flow interview has an associated user — the person who caused the interview to start waiting. If that user is inactive, the interviews can't resume.John Doe (005xxxxxxxxxxxx) is inactive, so please delete the following flow interviews. Without thinking too much I went straight away to the Process Builder to check if it uses hardcode Id referring to the inactive user and I found none. The process builder is fine. The email was sent is to inform us that there some process builder on the waiting list and not able to get fired because it was created by an inactive user. The user left the company for quite some time, how is possible for him to fire the process builder? What is Paused and Waiting Interview? Paused and Waiting interview only applies on schedule action process builder or time-dependent action. You can check Paused and Waiting Interview at Setup | Create | Workflows & Approvals | Flows and look at Paused and Waiting Interview section. Why I receive the email above? Because the process builder has Scheduled action to send an email alert on 15 days before Close Date. Let's say the Close Date is in next year and the process builder is fired this year. The action to send email will be listed in Paused and Waiting Interview. However, Salesforce will remove this interview from waiting list after it tried to execute once. I noticed that because when I clicked the link that provided in the email after investigation and the link is no longer available. Data Not AvailableThe data you were trying to access could not be found. It may be due to another user deleting the data or a system error. If you know the data is not deleted but cannot access it, please look at our support page. The email just to warn us in case we got many more interview in pending that owned by the user. What will happen if we deploy a new version of Process Builder while some of the previous version in pending list? 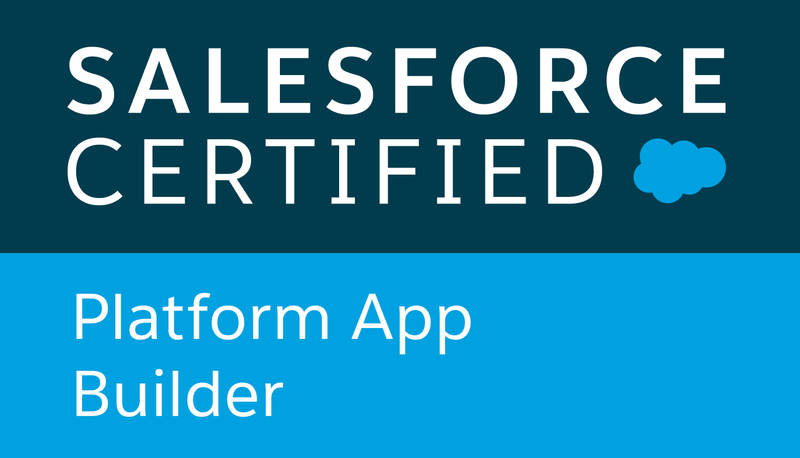 Any deactivated version Process Builder will continue as usual and Salesforce will not allow us to delete this version. Refer to link here. If we think the previous version should not run then we should go and delete the waiting list. Some related links that you might find useful. I am not yet familiar with Salesforce Lightning Design System (SLDS) however I need to start it somewhere.There some requirement come in and it does not have specification on what the UI look likes so I thought why not give SLDS a try. I love it because it's neat and elegant but I found it hard to customize the theme if our organization has different color scheme from Salesforce. It can be customized using Design Token using Sass, then generate our own CSS zip file. So we can't use tag for customize CSS. Yet, this is another new thing to learn. I am very reluctant to use JQuery in this because I want to avoid third party libraries.While you go through design, you might notice, all the code that control look and feel in SLDC is defined in class.Therefore we can use Java Script to manipulate CSS to change look and feel. Here is sample of the tab that I designed using SLDS. Lately I worked on these object a lot and learned a lot of new things. Pricebook object store a list of products and services for sale. A pricebook can be used in one or more different opportunities. A pricebook has one or more different price entries. Standard Price Book which is the master list of all the products and their default standard price. Custom Price Book is separate list of product with custom price - called list price. Product object is a catalogue of items or services for sales. A product may contain one or more different sets of prices (PriceBookEntry). 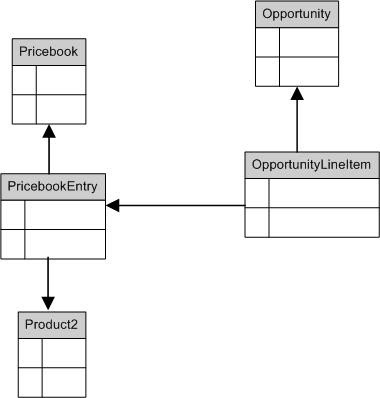 PricebookEntry object is a product entry in a pricebook. This object allows products to be linked to standard price book or custom price book. One price book entry is linked to only one product. One price book entry can only appear in one pricebook. One price book entry can be used in multiple line items. This also further creates flexibility for users to set their own prices. Scenario 1 : I am not able to insert PriceBookEntry for custom PriceBook. Reason : In order to insert PriceBookEntry for custom PriceBook , those Products must be added to Standard PriceBook first because Standard PriceBook is considered as master price. If the code contains SOQL on Pricebook make sure it get surrounded with try and catch. Add Test.isRunningTest() checking in the code and assign Standard Price Book. Also avoid retrieve and using PriceBook object but use Id. Example of code that you want to avoid.Note that there is no way for you to get away with Test class exception because you only can use Test.getStandardPriceBookId() , not the whole object in test class. One way to be safe is using Id. I think that's all I can think today. I believe you also got some of tips and trick to get over exception related to these objects. Please let me know how you do that?